Karina's Kreations: October 2016 Paper Pumpkin Kit! My October paper pumpkin kit came in the mail today. What do you think of the card design? I cased it from the kit. I wanted to show my friends how you can make a similar card once the original pieces are gone. 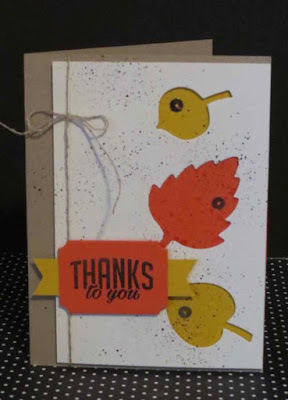 The stamp set is part of the paper pumpkin kit.